More likely than not, getting an authority site to include an infographic you make is much, MUCH easier than them posting a guest article you write. And getting published on an authority site will bring you direct targeted traffic, add to your brand, and give you a quality link. And since authority sites are often visited by other webmasters in your niche, you have a good chance that your infographic will be syndicated by others that found it on the authority site. When thinking about creating an infographic, consider what authority sites in your niche would like to post, and don’t necessarily design for your audience. Your goal is to get your infographic on authority sites that will not only send you traffic, but also give you a quality link. Go to authority sites and see if you can find their most popular articles and brainstorm if you can come up with an infographic that would be related. Also, try to use a statistic from an authority site and cite that site in your infographic. By including the URL of the authority site in your infographic, you greatly the chances they will publish your graphic. Another way to increase the odds your infographic will be published on authority sites is to create an “award-type” infographic. Folks like to brag about awards and if you can create a great-looking infographic that mentions authority sites, they will be more likely to publish your infographic. Be creative with the categories. Contact the winners and let them know about your infographic. Be sure to tell them how much you love their site and wanted to show your appreciation for the work they do. Flattery will get you much better results. Infographics can really be marketing powerhouses as they can be included in a variety of media, each with its own marketing resources. And using PowerPoint to create infographics gives you lots of flexibility, as Powerpoint allows you to export your slideshows into a variety of different formats, including video, PDF, ppx, doc, jpg and more. And there are powerful marketing opportunities for each media type. Pinterest Suggestion: Recipes are “fair use” and can’t be copyright protected, only the presentation can. Be creative and make a list of ingredients, then use a “mind map” to turn recipes into infographics. Maybe add a photo or clip art to dress it up. You can do the same thing with many step by step “how to’s”. Be sure to put them in your own words and create an entirely new graphic presentation using mind map software. Twitter Images – When 140 characters isn’t enough. Twitter Images allows you to post images and infographics are a great way to publish more info that you can post in a normal tweet. …all with the same basic infographic. There are a number of free Powerpoint templates specifically designed for infographics. Here’s a free Powerpoint that includes 5 different infographic templates. Note: This is the actual PP file and not a web page. Gallery of PowerPoint Presentations – Good, quality assortment of infographic-based PowerPoint templates. The image sharing site Flickr can send you tons of traffic. So can Pinterest. So let’s combine the two. Post your images on Flickr. Remember basic SEO principles and use your most popular keywords in your titles, image file names, tags, descriptions, etc. Focus on major keywords and don’t worry about the competition. Add a free WordPress plugin that hooks up to your Flickr account and automatically posts your images on your WP blog. Next, install a free WP plugin that adds a Pinterest “pin it” button to your images. Now, take relevant pictures and create relevant infographics. You should be able to see the potential in this set up. Add an email list optin form to your blog and you have the foundation of an effective marketing system. This system was born from a couple of WarriorForum threads. Be sure to check them out for a free WP Pinterest plugin and info about Flickr traffic. Google Image Search – Image searches can deliver some serious Google traffic and give you another weapon in your marketing arsenal. Images included in your web pages not only make them look better and add a multi-media element (which likely aids SEO), the images themselves can be optimized to help with Google ranking. Make It Easy for Webmasters to Use Your Infographic: When you post an infographic on your site or blog, make sure you include the HTML code in a way that makes it easy for webmasters to copy and paste on their own sites. Keep in mind basic SEO principles and be sure to include the basic “optimized” HTML in your code. List of Sites to Submit InfographicsVisual.ly – Visual.ly not only is a great free site for creating infographics, it’s also probably the best place to submit your infographic in the hope it will be syndicated by other sites. Not only does Visually give you a chance to get your infographic picked up by others, your infographic page can get decent Page Rank and is a dofollow links. Visually is also a great place to look for inspiration. While you can’t copy an infographic design, you can “borrow” ideas to create your own original work. Also, check out a category that’s closest to your niche and check out the most popular infographics for that niche. This list includes PageRank of the homepage and includes sites that have dofollow links. The list is kind of old, so some sites may be dead or have changed how they link. Visual.ly – Again, Visually is probably the #1 site for any infographic marketer. Create, share, publish infographics and visuals. Connect your account to Facebook and Twitter and much more. Visual.ly is a “must checkout”! There’s a number of Visual.ly videos on YouTube. Tableau Public – A very cool and powerful Windows desktop program that creates great-looking, one of a kind charts and interactive visualizations. Be sure to check out the Tableau Public Gallery for design inspirations and ideas. See how Tableau Public works here. ManyEyes – Probably my favorite infographic resource. A great site by IBM that allows you to create “visualizations” using either your own data or data stored on the site. You can choose different styles, fonts, colors and more to display your infographics. Google Data Sets – Similar to ManyEyes, but not quite as good, IMO. Still, a good resource to check out. Wordly – Another favorite. Just add some text and Wordly creates a visualization. 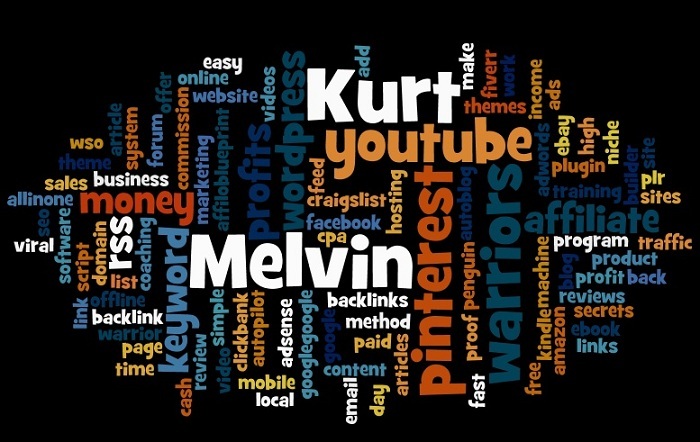 Uses a “word cloud” so the more times a word is used in the text, the bigger it will appear. It can also import RSS feeds. Note: Wordly uses Java to create the images. This means you can’t save the image directly to your computer. However, it the Wordly license it says it’s OK to take a screen shot and save it that way. press the “prt scrn” button on your keyboard. Here’s more info about taking screen shots from Wordly. Tip: Once you get your Wordly visual into Paint (or your favorite graphics editor), add a simple picture, avatar or clipart to give it some more “oooomph”. Tagul – Probably the best online word cloud maker. Has free and paid versions. Tagxedo – A very good text visualization tool similar to Wordly, but with many more features and controls. The problem with Tagxedo is the usage license, which is for non-commercial use only. The TOS also states they own the copyright to the images created and add a copyright notice to the bottom of each graphic. If you are OK with this, Tagxedo produces some very cool results. Hohli – Fast and simple way to create pie charts, line graphs, bar charts, scatter plots, radar charts and Venn diagrams. Make Sweet – Easy and fun way to make 3D Venn diagrams consisting of two over-lapping circles. Gapminder – Adobe Air based program so it will run on Windows, Mac and Linux. Creates impressive visualizations and includes a self-updating data base of World facts and statistics. Creately.com – An online flowchart creator with some good looking templates. Free version is limited to 5 diagrams a month. Can upgrade your account to unlimited diagrams for $5 a month. ChartGo.com – Make charts online quickly. Gliffy.com – Flowcharts, mind maps, diagrams, floor plans, technical drawings. Mind42.com – Online mind mapping application. Copyrights – Statistics and facts can’t be protected by copyrights, only the presentation of those facts can be protected. By creating your own infographics and visuals using facts and statistics, you are creating a new and unique presentation for them. Read more about US Copyright Law from the US gov site. Here’s a quic kand easy tip to help you create infographics and visualizations: I like creating infographics from lists. And a great way to find lists is to use the Google “site” command and enter Wikipedia.org for the site. It’s easy to come up with a list of people, places and things that are great for infographics. Just paste the URL and change April_18 to any date you want to research. You can make an infographic about the day or pick a topic from that page. If you can combine an infographic and a good article, you have a great opportunity for marketing. Use the infographic to go viral on social sites like Twitter and Pinterest. Combine these with a timely press release about the event and you have the makings of a very good campaign. Be creative, do some research and plan ahead a couple of days and you may be surprised at the results you can achieve. Collect your lists and make text-based infographics you can use on Pinterest, Facebook, forums, YouTube videos, sites and blogs. datacatalogs.org – List of data catalogs. Freebase – Data from Google. Gapminder – Time line data for countries. Google Image Search for “funny statistics” – Use for ideas. Use the regular search, video search and the image search to expand your results. Quotes and Jokes/Humor – There’s many good sites with collections of jokes and quotes, and I won’t list them here. However, they make great content for infographics and often can go viral on social sites like Pinterest and Twitter. Pixabay – Probably the biggest and best source for public domain pictures and images. Morguefile.com – While the images on MorgueFile aren’t in the public domain, they do offer the most liberal usage license of any of the only picture sharing sites. You can use them for just about anything and you don’t even need to give attribution. Be sure to read the Morguefile license here. PublicDomainPictures.net – Has a great selection of free quality pictures, backgrounds, lighting effects and more for personal and commercial use. Ratings – Create info graphics for Amazon products and be sure to include an appealing graphic. However, be careful about using product pictures themselves, as they may be copyright protected. Instead, create a chart or graph of the average ratings for two or more products, for example. Youtube Trends – Find trending topics as well as create videos from infographics. Trendsmap Twitter Trends – Create infographics based on Twitter trends, then upload as Twitter Images to exploit hot Twitter subjects to drive lots of traffic. Amazon Hot New Releases – Discover the products that are new and hot on Amazon. Infographic Designs – Here’s an excellent article detailing the hows, whats and whys of infographics. The 7 ½ Steps to Successful Infographics – An interesting article by a journalist giving the 7 1/2 steps she uses to create interesting infographics. 123rf.com infographic templates – Also sells vector-based templates for infographics. Another good source of inspiration. 12 options for creating cartoon characters – Cartoon-ize: Want to include a pic of a celebrity or famous person in your infographic, and still respect copyright laws? Maybe “cartoon-izing” that person is the answer. Or create cartoon look-alikes…Here’s a web page that reviews to use in your infographics. Jashaka.com – Jashaka is a free program similar to Adobe After Effects, which creates animations and special effects for videos. If you want to animate your infographics and create videos for them for Youtube, etc, without paying for After Effects, give Jashaka a look. The program hasn’t been updated in a few years, but a new version is expected to be released in the summer of 2012. Also be sure to visit Youtube for Jashaka tutorials. 8 Quality Infographic Vector Collections – If you’re good at design and understand working with vector images, give these collections a look-see. Free Infographic Building Resources – A good collection of PSD and vector images designed for making infographics. Includes charts, maps, “pins”, icons and more. 5 Free Vector Image Programs – This site reviews the 5 best vector image programs. You are probably more familiar with paint programs, such as Photoshop, Gimp and Windows Paint. But when creating infographics, you may have a need to be able to work with vector images. I won’t get into detail, but there’s two ways to create images on a computer The most common is called paint/raster. The other method is called draw/vector. Simply, “paint” uses pixels and you can control it on a pixel by pixel basis. “Draw” or vector uses math to draw lines and curves. After you choose a program (I suggest Inkscape), you can find all sorts of tutorials on Youtube. If you are “color challenged” like I am, these tools are your best friend when it comes to picking colors that go well together. ColorSchemer – Creates matching color schemes using a wider variety of colors. Color Scheme Designer 3 – A excellent tool for creating matching color combinations. Color Wizard – Color Scheme Generator – Creates matching color schemes for any color entered. Color Palette Generator – Enter the URL of an image to get a color palette that matches the image. Unless you’re very talented with graphics, keep it simple. From a marketing point of view, a simple infographic can go a long way. Your goal is to be productive, not Picasso. Use the color schemers above. Just getting your colors to match can have a big impact on how good your infographics look. Add your URL to each infographic. Not only do you want credit for making it, you can brand your site at the same time. Cite authority sites for any info or data you use in your infographic. Then contact them and let them know about it. They may post it on their site, giving you links from high authority web sites. Easy way to turn data and statistics into visual charts. MarketingCharts has free and paid charts about marketing…surprise!